(Views expressed are purely personal)(Views are expressed ABOUT THE BOOK; not about the government's policy)Collection of essays and columns written by the eminent C. Raja Mohan over the past year. Not for the regular run-of-the-mill prime time television debate watching audience. A much more nuanced and detailed study of the government's foreign policy initiatives. At the same time, not a technical read. Personally, found "Samudramanthan" much more detailed and insightful. 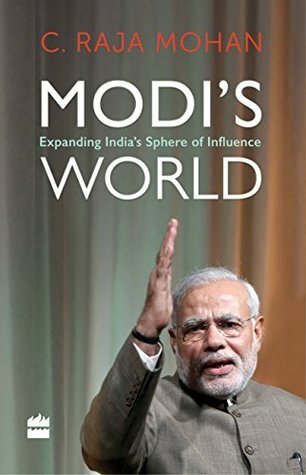 In terms of perspectives, this book is lacking here.Presents a convincing argument that the government's foreign policy initiatives are creating a significant paradigm shift; particularly since New Delhi is looking away from rhetoric and ideology towards real steps. Whether or not these steps will endure is something only time will tell.Overall, decent read. Good summary of the past year in f.p.